Lorrain of origin and born in Longeville-les-Metz, he graduated from the Ecole Polytechnique and the Ecole Nationale Supérieure of Aeronautics and Space of Toulouse. He was in three space missions: in 1994 to study the composition of Earth’s atmosphere and the effects of solar energy; in 1997 for docking the space shuttle to the Mir station and coordinate the transfer of 4 tons of material; in 1999 for a servicing mission to the Hubble Space Telescope. This is an experienced pilot, director of the Air and Space Museum (2005 to 2010). It has always contributed to the development of a dynamic aviation. President of the Aero Club of France (1994-2005), he remains an active member of several structures related to the world of air. He was the first to cross the English Channel in ULM (1981) and PPG (1985). Prior to the airfield that we know, Chambley Planet’Air was a military air base of NATO. Chambley Air Base has welcomed 1953-1967 many American soldiers. Among them, Bob Sisk, now President of the American Association of veterans Chambley Air Base France. This renowned balloonist is one of two authors, Brian Jones, the first world tour in a balloon in 1999 on board the Breitling Orbiter 3. 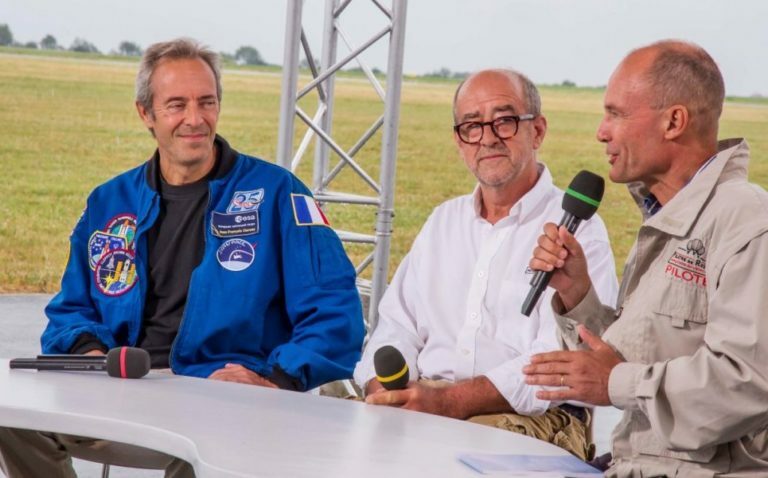 Faithful companion of LMAB, Bertrand PICCARD never misses such appointments, even when he is busy aboard Solar Impulse, the solar airplane that is currently under maintenance in Hawaii. His journey will continue at the beginning of 2016. Escandra Salim is the Executive Director of “Festival Internacional del Glodo” de León (Mexico) which has existed since 2003. It is the largest gathering of hot air balloons in Latin America. Great artist and painter, with his own style he was noticed around the world. Michel Granger is sought by many organizations particularly affectionnant the talent of this artist without borders: UNICEF, UNESCO, Amnesty International, the Cannes Film Festival in 2001, Reporters without Borders or the Red Cross.